1. Create a FAQ interface from a list of frequently asked questions and answers. 2. 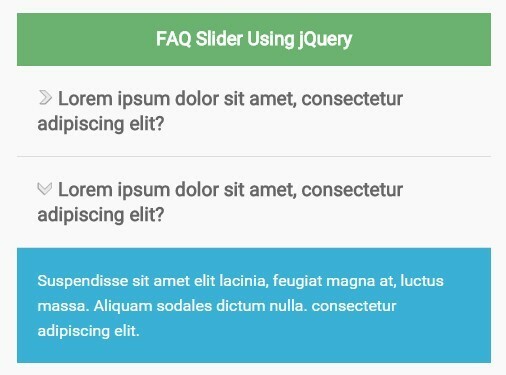 Add your own CSS styles to the FAQ accordion. 3. 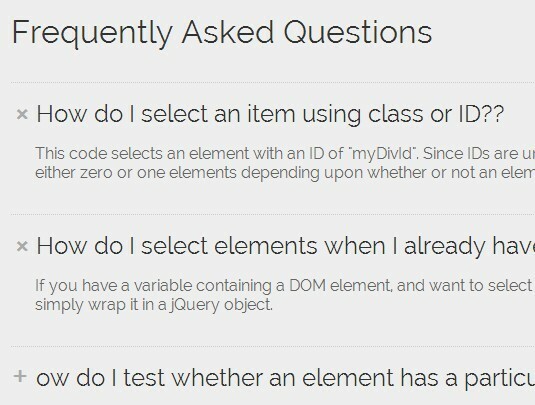 Include jQuery library at the bottom of your FAQ page. 5. Don't forget to add the following CSS3 snippet into your CSS. This will rotate the arrow icon as you toggle a FAQ panel. This awesome jQuery plugin is developed by jeffward01. For more Advanced Usages, please check the demo page or visit the official website.